Activists believe women’s education and stronger laws will improve life in Africa’s most populous nation. Child marriage – defined as a marital union with a person under the age of 18 – affects more girls in Nigeria than in all the countries of West Africa combined, according to a recent Ford Foundation study that assesses child marriage in the region’s sixteen countries. Though it is technically unlawful in Nigeria, girls in some regions are sometimes married by age nine. One girl, Maimuna, is determined not to be a child bride. Maimuna (who did not want her last name published) is a teenaged girl from a rural village in northern Nigeria. A pink colored hijab surrounds her head and her voice is soft. “The best gift any parent can give to their child is education,” she says. Maimuna watched her childhood friends get married one by one, but she refused to join them. She knew that getting married early might threaten her hopes to attend university and become a healthcare professional. She continued going to school, despite the disapproval of her relatives. She said they told her that educated children, especially girls, end up irresponsible. But she did not listen. Her father also refused to listen. He supported her academic goals, even though he could not afford her school fees. 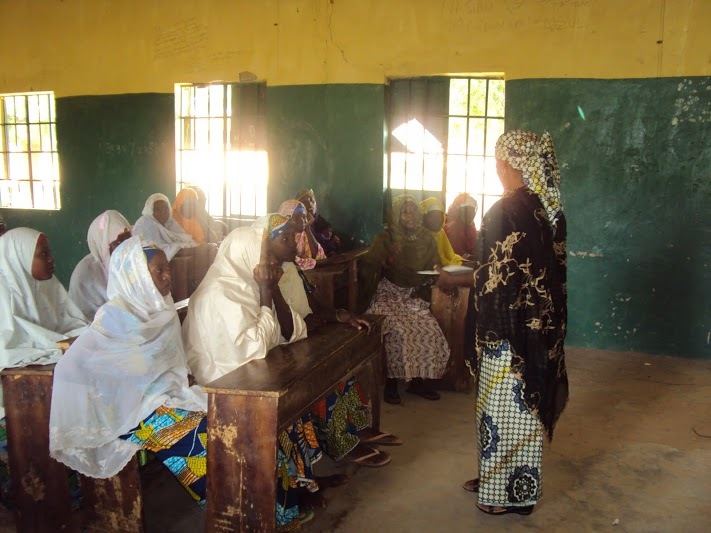 The Isa Wali Empowerment Initiative, an organisation based in northern Nigeria, stepped in to fill the gap. Amina Hanga, the executive secretary, tries to intervene in the lives of girls in Nigeria before they get married early, but oftentimes it’s too late. receive literacy education and vocational skills training in cooking, jewelry making, processing groundnut oil and sewing. Recently, she noticed a drop in attendance in one of the literacy classes and later found out that some husbands and male relatives had stopped some of the girls from coming to class. “The men were feeling threatened that if the women were to learn how to read, then they will dominate them,” Hanga says, admitting that the changing the reality on ground is a daunting task. 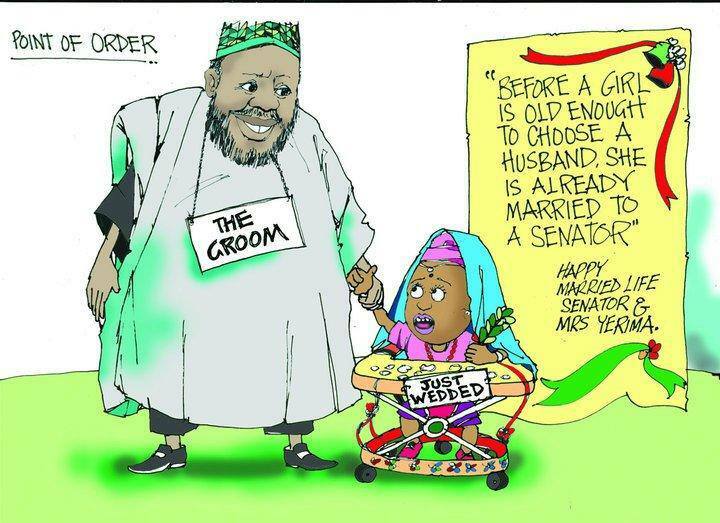 More than a dozen of Nigeria’s 36 states have not enacted the 2003 Child Rights Act, which states 18 as the minimum age for betrothal and marriage. The statistics in Nigeria reveal a wider trend. The United Nations reported that in sub-Saharan Africa nearly 37 percent of young women between the ages of 20 and 24 were married by their eighteenth birthday and projects that an estimated 70 million minors in sub-Saharan Africa are at risk of being married by 2030. Research shows that once married, a child bride will likely remain financially dependent on her husband and may not have access to quality healthcare. Her risk of pregnancy-related complications will increase, just as her chances of contracting a sexually transmitted disease will rise. The rate of child marriage is most concentrated in West Africa. The Ford Foundation study reports that 49 percent of girls under 19 are married in West Africa. Activists ending child marriage aim to confront the social values and traditions that deem the practice acceptable and harmless. “If people don’t know the consequences of child marriage for the girl, they will be less likely to change it”, says Lakshmi Sundaram, the global coordinator of Girls Not Brides, a global partnership of more than 300 non-governmental organizations in over 50 countries working to end child marriage. She says the topic is still taboo in many cultures, emphasizing that it’s the perception of girls as being “lower” than their male counterparts that largely contribute to the continuance of the practice of child marriage. 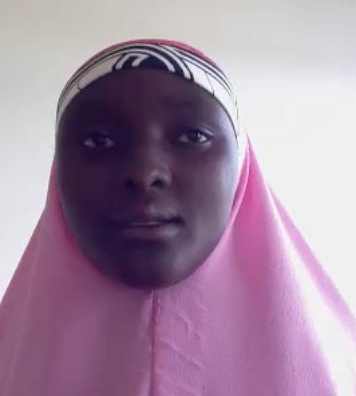 Hanga says that customs in the predominantly Muslim northern Nigeria, where illiteracy and poverty along with the incidence of child marriage is the highest in the nation, limit a girl’s social interaction and mobility, mandating her to seek permission from a male relative before leaving the home. “So even if you have some health issues, you cannot go out to a hospital and you are waiting for your husband to return to allow you to go,” she says. Despite these cultural challenges, Hanga moves forward with her advocacy through community-based initiatives. This year, her organisation will set up girls clubs in three secondary schools in Nigeria’s Kano State. The clubs will be a safe space for girls to talk openly about their problems and to mentor one another. “We want to make the girls ambassadors for change,” Hanga says. Nigeria has made significant improvements to address the factors leading to and resulting from girls marrying early, by implementing programs to increase girls’ school enrollment, treating fistulas caused by young mothers experiencing complications during pregnancy and awarding scholarships for girls. not be about religion but about structural policy change. “The government needs to do a better job with creating awareness about the importance of education for girls,” Hanga says. After a pause, she begins to speak about a woman in her early 30’s who was attending the literacy class. The woman was married before the age of 15 and was pregnant with her 11th child, to which she later died of complications. The memory of the woman renewed Hanga’s determination to change cultural beliefs and traditions. “Here, you’re being programmed to think that the ultimate for a woman is marriage and nothing else,” she says.